In 2011, my son Marcus, then 11 years old, decided to create a stand to sell lemonade at the Boston Marathon for his fifth grade community project. He decided to contribute all proceeds to the Jimmy Fund, an organization which raises funds to support adult and pediatric cancer at Boston’s Dana Farber Cancer Institute. Selling cups of lemonade at $ .75 each, he raised over $600.00 that day. Over Thanksgiving dinner this year, surrounded by my loved ones, I thought about how fortunate I was to be able to share a table and a delicious meal with those I care about. My thoughts turned to my mom, a breast cancer survivor who was diagnosed with Alzheimer’s disease and had sustained a series of strokes in 2014, and my brother-in-law, who is afflicted with Parkinson’s Disease. I then began to think about Marcus’ stand and the Jimmy Fund, and those at the Dana Farber who would not be present at their Thanksgiving table that evening. My thoughts then turned to those would not be with us next Thanksgiving, and what have I done to help the fight against all of these diseases and ailments which prevent families and loved ones from spending Thanksgiving together. My mom passed away on December 22, 2014. Doing some research, I discovered that approximately 15,800 children between the ages of 0 and 19 will be diagnosed with some form of cancer this year. Almost 2,000 will die from it. In 2014, over 230,000 women will be diagnosed with some form of breast cancer. About 40,000 are expected to die from the disease. Each year, approximately 60,000 individuals are diagnosed with Parkinson’s Disease, and this number does not include the many cases that go undetected. I could go on and on, but the numbers are staggering. With your help, I want to reach my goal of donating One Million Dollars to charities that can and will find cures to all of these diseases. 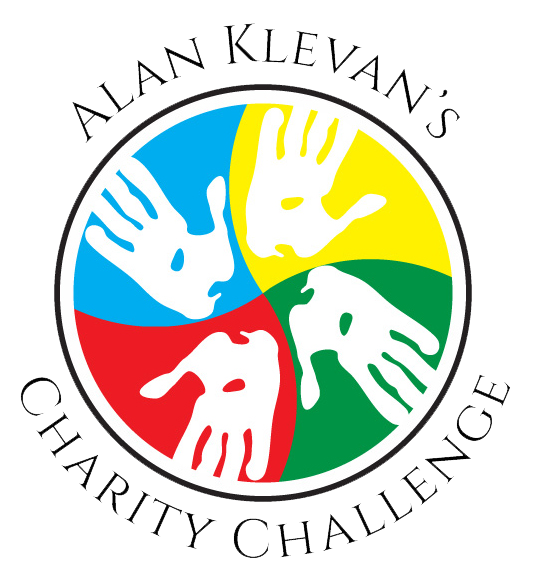 I am starting the Alan Klevan Charity Challenge as a way to give back to the community which has given me so much over my lifetime. For twenty five years, I have reaped the benefits of my practice and have had the pleasure of meeting many wonderful people along the way. I stay in touch with many of them and I now am asking your collective cooperation in helping me give back to the community that has taken care of me for so long. Beginning March 30, 2015, I will contribute a portion of my legal fee for every case I resolve to a charity of my client’s choice, in his or her name. The client will still receive every penny to which he or she is entitled. If the charity mails out acknowledgment cards, I will have the acknowledgment sent to directly to my client in his or her name. If my client does not have a charity in mind, I will choose from one of the following charities: The Jimmy Fund, St. Jude’s Hospital for Children, the Parkinson’s Disease Foundation, The American Cancer Society, The Susan G. Komen Breast Cancer Fund, the National Alzheimer’s Association, or Rainforest Maker. I have chosen these charities because I have been affected in one way or another by all of these issues. Some of you reading this may be attorneys. I consider it an honor to have a case referred to me by another lawyer. Besides providing you consideration for referring a case to me, I will make a second donation, in your name, to a charity of your choice as my way of saying “thank you” for the trust you have put in me. Click to See Topics Legal TechnologyPersonal Injury ClaimsRansomwareWorkers' Comp. Submitting this form does not establish attorney-client privilege, and we will not be taking any action on your behalf unelss we agree to serve as your legal counsel. Pllease do not submit any confidential information. Want to stay up-to-date with workemans’compensation personal injury law? Subscribe to our e-newsletter! Law Offices of Alan J. Klevan, P.C. © Copyright 2018 Law Office of Alan J. Klevan. All rights reserved.